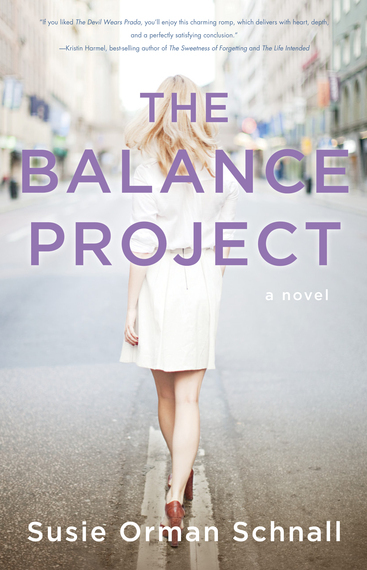 Susie Orman Schnall's novel, The Balance Project, follows the perils of the overworked assistant to America's Darling of Balance, Katherine. Both Lucy and Katherine's stories call into question whether or not women can have it all--both a successful work and family life. The Balance Project novel stemmed from Orman Schnall's interview series on the same subject about how people manage their work and personal lives. She just featured Reese Witherspoon as her 100th Balance Project interview! What made you first interested in the concept of Balance and interested in Lucy's and Katherine's story? I had been struggling with balance in my own life--how to be the type of mother that felt right for me while still being a professional. I couldn't figure out how to do both things really well, so I started asking other working women in the hope that I would figure out what I was doing wrong. 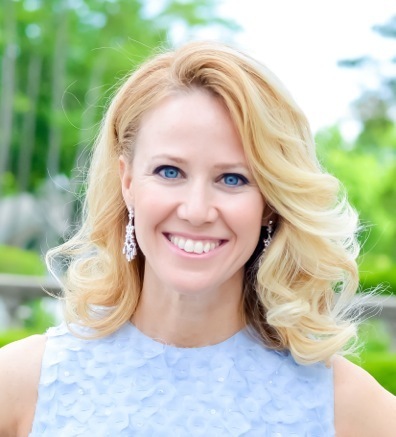 In January 2014, I turned this questioning into an interview series, also called The Balance Project, in which I ask interesting and inspiring women how they handle work-life balance. I've learned so much from doing the interviews, and it became increasingly clear that this is something all women struggle with in some way or another. 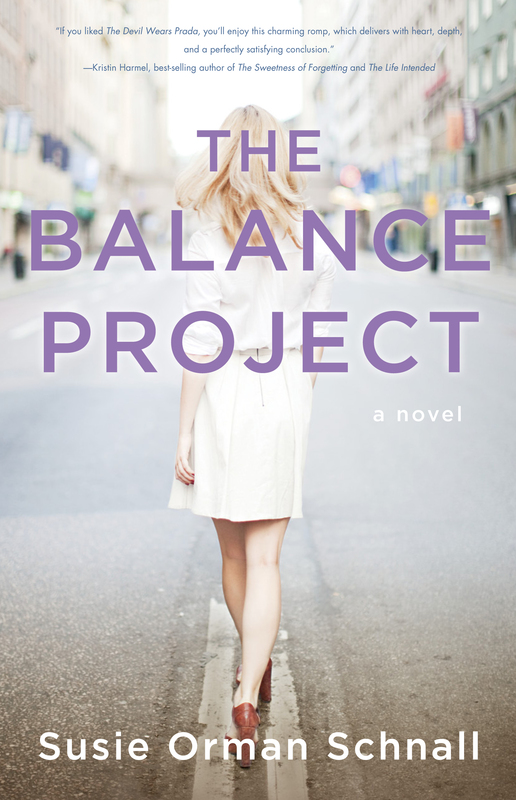 When I was figuring out what to write my second novel about, I decided I wanted to explore the topic through fiction and so The Balance Project novel was born. The reason I chose Lucy and Katherine as main characters (two women at very different stages in their careers) is because I wanted to show that no matter how old a woman is or her marital/maternal status, she can still struggle with work-life balance. Lucy goes through some growing pains in this book; what does it take as an author to let your characters make mistakes? I think it reflects the humanity of all of us. No one lives life in a completely linear way where one life stage or situation leads smoothly into the next. I wanted to reveal the truth that a woman like Lucy, who is at that stage of life when she's trying to figure out what kind of adult she wants to be, is on a journey filled with loads of obstacles and challenges. And it's the approach to those obstacles and the handling of them that makes Lucy--that makes all of us -- who we are. Making mistakes allows us to learn, move on, and, hopefully, evolve. How does sharing ideas about balance in a blog and non-fiction setting differ from your work as a novelist? What do you learn from approaching the subject both ways? There's certainly less writer's block with the interview series, which is refreshing! I love that I have two very different platforms through which to illustrate women's approach to balance. I started with the interviews so I took the findings that I learned from them and I used that data to inform Lucy and Katherine's (and, truly, all of the smaller players in the novel, as well) characters. The interviews allowed me to keep the novel real. I wasn't making up what women deal with. I used a composite of what real women told me and that became the basis for the struggles Lucy and Katherine face in the novel. I also love having the interviews because they keep the conversation going. The Balance Project does a great job capturing our current technological milieu. What role do you think technology can play in both destroying and creating balance in our lives? There is so much good about social media and technology, all of which has been described in countless articles. My concern with social media is that it makes us feel that there is some ideal -- shown through photos on Instagram, Pinterest, Facebook, etc. We can decide whether or not we buy into it or want to conform, but regardless of that decision, we become socialized through those images, they become the "normal," and it's difficult, even for women with the most willpower, to ignore the sense that we should be living up to the perfection. The noise can make us believe we should be living our lives a certain way rather than the way that is most authentic and that will result in the highest feelings of contentment and balance. Also, all those tempting stories of "The 10 Best Celeb Weddings" and "Why You Need This Smoothie Bowl in Your Life" are dangerously distracting. So I've heard. If you had a magic balancing wand, what would you like to shift in your own life? I'd like to destroy with a sharp machete the unfairly as well as unreasonably high expectations I have for myself that have been accumulating since I was a child. I'm getting much better at telling the voices to get a cappuccino and leave me alone, but they've built themselves a nice home in my brain and don't seem to be leaving anytime soon.